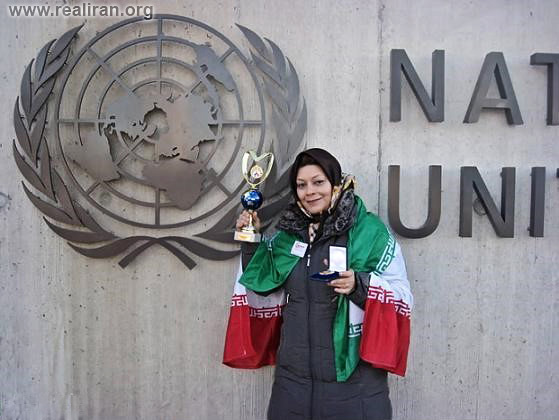 An Iranian doctor from Mashad Medical Science University received the award of the greatest world woman inventor in Geneva International Festival for Inventions in year 2013. Dr. Zahra Alizadeh Thani, who is a specialist in radiology of heart and coroners, also received gold medal and special award of 41st Geneva Festival in addition to her award as the world inventor. Dr. Alizadeh Thani has invented a device to determine level of tightness of heart coroners. The device also makes it possible to determine if the patient needs angioplasty. This entry was posted in Personalities, Science, Women and tagged Awards, Science, women on November 17, 2013 by socialinform.